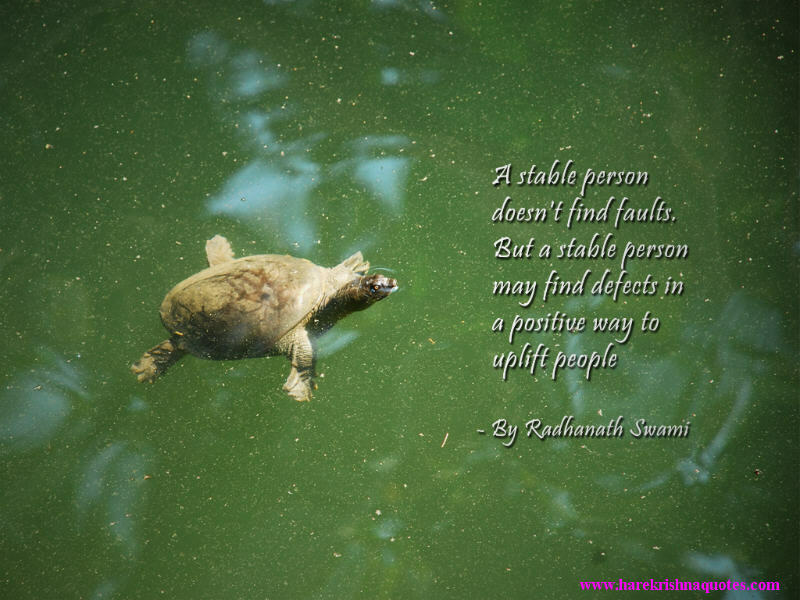 A stable person doesn’t find faults, but a stable person may find defects in a positive way to uplift people. Persons who smell the aroma of Lord Krishna's lotus feet, carried by the air of Vedic sound through the holes of the ears, accepts Krishna's devotional service. The Lord is never separated from them. People are so stupid that they can't even understand that they are defeated. People are smiling outside but screaming inside. Saintly persons, who are friends to all living entities, have a peaceful consciousness. They have controlled their senses and minds and they easily attain the path of liberation, the path back to Godhead. Being unfortunate and attached to the miserable material condition, a materialistic person cannot associate with them.